4 out of 5 people either experience back pain or will develop it in their lifetime. If your back pain has increased lately, it may have everything to do with your shoes. Footwear with little arch and heel support can contribute to your back pain. These shoes will make your foot turn inward to maintain your balance. The misalignment of your feet can put extra pressure on your back and your joints, causing abnormal back pain. Finding shoes with proper shock absorption and support for your heel and arch can alleviate your back pain and possibly eliminate it. We’ve collected the best shoes for lower back pain in our review; we even included some stylish sandals for casual wear! 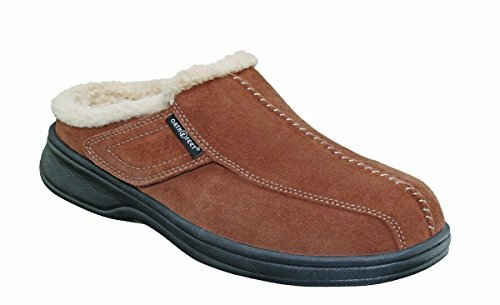 Orthofeet Asheville Men’s Orthopedic Leather Slippers Men's Moderately-priced Leather mule sandal designed for those with high arches and foot issues such as plantar fasciitis, knee and back pain, etc. New Balance is known for their comfortable athletic footwear. The New Balance Men’s MW877 Walking Shoe’s suede and mesh upper holds up over time, and the Walking Strike Path rubber outsole provides stability during activity. The MW877 gives you the support where you need it. The ABZORB midsole cushioning has excellent bounceback, and the removable insole has extra cushion in the heel and the ball of the foot. Recommended for wide feet, this running shoe has a roomy toe box with a padded tongue and collar for extra comfort. 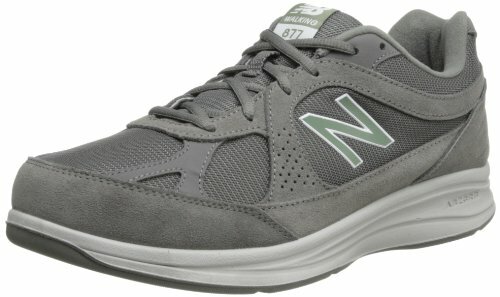 The New Balance MW877 has a mild break-in period, during which the leather upper takes some time to stretch. They run large, so you may have to order a size down from your average size. Men with high arches may not find the New Balance MW877 as supportive as they would like, but you can replace the removable insole with an insert suited to your needs. Similar to the Ghost 11, Brooks has another model that can relieve back pain. The Brooks Women’s Adrenaline GTS 18 comes in a variety of color schemes, with a mesh and synthetic upper that forms to your feet. It is designed to relieve stress on your joints and your back. With a breathable internal lining and a wide toe box, the GTS 18 has a padded collar and tongue for a comfortable experience. The shock-absorbing segmented crash pad on the rubber outsole alleviates stress on your heels and the ball of your foot. With a removable foam insole with Brooks’ BioMoGo DNA, the GTS 18 reacts to you, giving you bounceback with each stride. Designed for overpronators, the Adrenaline GTS 18 has a tri-density midsole that corrects your gait and instep. The Brooks Adrenaline GTS 18 has a looser fit than its predecessor, the GTS 17. 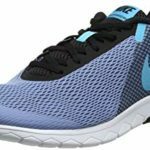 This can deter some buyers from investing in this expensive running shoe, especially if they like a tight fit in their athletic footwear. There is a mild break-in period, during which the mesh upper will shape to your foot. There have been some complaints that the soles and stitching fail within a year, but this usually happens with consistent, daily use. The budget-friendly Skechers Performance Men’s Go Walk 4 Incredible Walking Shoe is a lightweight and durable walking shoe. 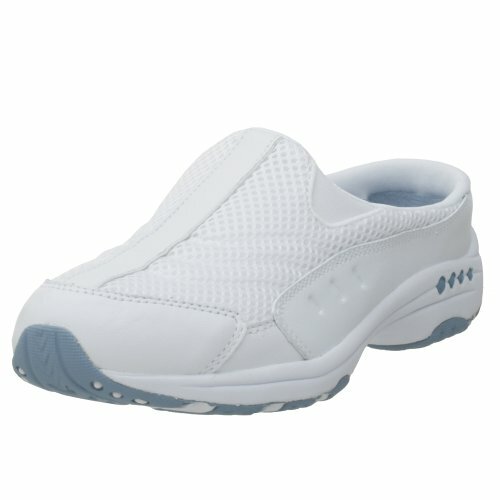 It doesn’t have laces: it is a convenient slip-on shoe with heel tabs. The mesh upper expands when you walk, conforming to the movement of your foot. A breathable bamboo liner inside of the shoe is an anti-bacterial material that combats odors. Ideal for standing or walking, the Skechers Go Walk 4 Incredible cushions the heel and the ball of the foot. With a tapered 5GEN midsole that has superior bounceback and Goga pillars on the bottom of the sole, this shoe has excellent shock absorption. The soft insole is removable, but it has enough support to where you won’t need to replace it. There is no break-in period with the Skechers Go Walk 4 Incredible: they are comfortable to wear as soon as you receive them. There are some specific differences between the Go Walk 4 and its predecessor, the Go Walk 3. The newer model has a scuff guard around the toes and a higher heel cup. It also has a narrower toe box, which can change the feel of the shoe. They run narrow: those who wear half or wide sizes should purchase a size up. The soles are not slip-resistant, so they are not recommended for use on rocky or uneven terrain. Those with extremely defined arches have complained that the tapered midsole can make walking uncomfortable, so they are best for low and medium arches. 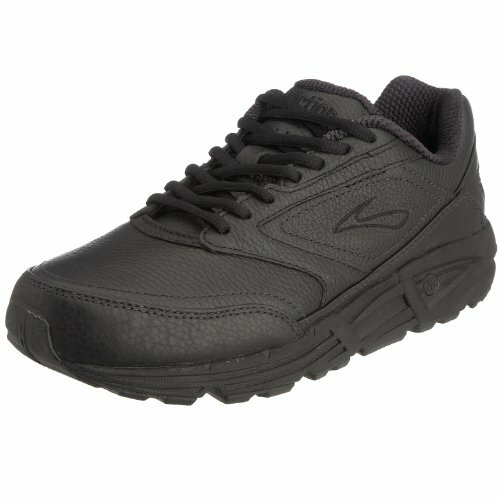 Brooks Addiction Walker Walking Shoes come highly recommended for long work days on your feet. The strong leather upper and the slip-resistant, synthetic flexible outsole bend to your movement. 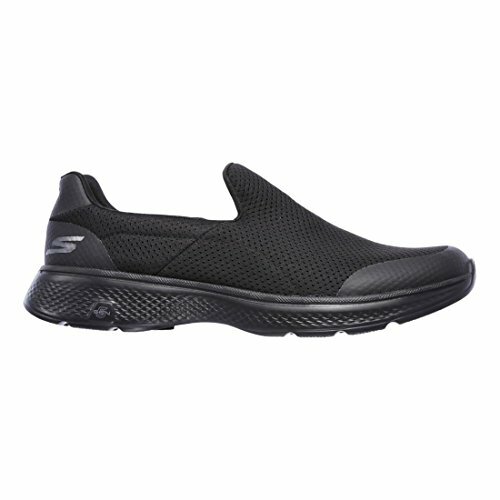 The MoGo midsole keeps your foot stable, and it has Hydroflow technology that improves bounceback and shock absorption. Fluid in the insole under the heel and the ball of the foot also increases the shoe’s cushion. The Brooks Addiction Walker Walking Shoes are best for men with low arches. The Extended Progressive Diagonal Bar corrects overpronation, which can relieve lower back pain. The only downfall of the Brooks Addiction Walker Walking Shoe is that they don’t last in heavy-duty environments. There is some stiffness in the leather until you break them in, and the shoes do not breathe well. They have a narrow fit, including a tight toe box, so you should order a size up from your normal size in athletic footwear. There have been some quality complaints about the Brooks Addiction Walker Walking Shoes, such as squeaky soles and unraveled stitching within a year of use, but these are relatively minor problems. They are also expensive for a pair of walking shoes, but they are so comfortable that it is worth the extra money. Orthofeet designs footwear catered to those with foot conditions. The Orthofeet Asheville Men’s Orthopedic Leather Slipper is a leather mule sandal with a removable orthotic foam insole that shapes to your foot. The shoe has air inside the insole that offers bounceback with each step. This Easy Gait Technology relieves pressure on your hips, knees, and joints in the feet. Made to be comfortable, the Asheville’s wide toe box and soft, padded interior lining make the shoe the most comfortable sandal on the market. This mule sandal has an adjustable strap for tightening or loosening the fit, making it ideal for those with issues such as plantar fasciitis and knee and back pain. Those who are new to the mule design need some time to get used to the style of the Orthofeet Asheville. Walking in mule shoes is a learned behavior, and they may slip off at first. The Asheville is heavier than a typical sandal, and there have been some complaints that the Asheville is stiff and inflexible. 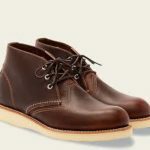 As with most well-used shoes, there have also been reports that the sole separates from the upper within a year of constant use. 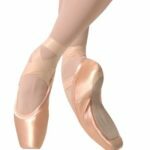 Despite these few reports, the comfort and support of the moderately-priced Orthofeet Asheville come highly recommended for those with high arches or severe foot conditions. Leather mule sandal designed for those with high arches and foot issues such as plantar fasciitis, knee and back pain, etc. For those looking for a stylish sandal that you can wear to the beach without killing your feet, Orthaheel designed their Plantar Fasciitis Pain-Relieving Sandals with you in mind. If you suffer from plantar fasciitis or any other foot conditions, you will feel the relief after the first wear. The firmness of the non-slip rubber sole relieves pain associated with several foot problems, and they have excellent arch support. 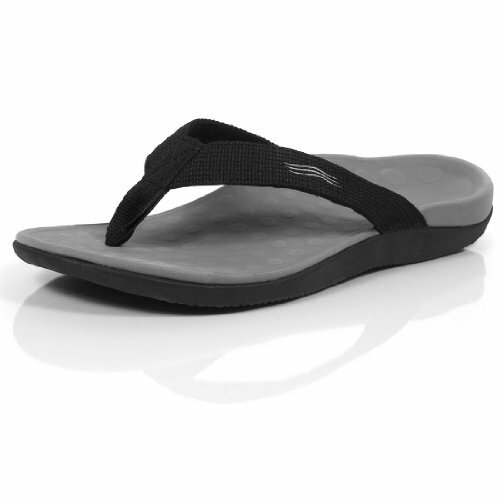 You can even get these unisex sandals wet; the strap dries quickly, so it won’t ruin your day. The Orthaheel Plantar Fasciitis Pain-Relieving Sandals run large, and there is a minor break-in period that should only last for a few days. There is no memory foam in the outsole, which makes them more durable, but there have been some complaints that the heel needs more support. Although they are expensive for a pair of sandals, their comfort is the only reason you should buy them. Vionic has built their reputation on creating comfortable, athletic footwear. 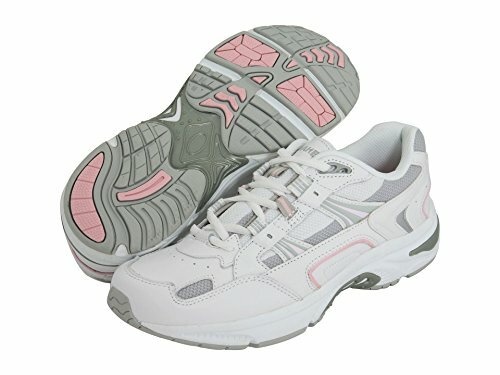 The Vionic Women’s Walker Classic Shoes are orthotic tennis shoes designed by podiatrists to reduce foot and back pain. Focusing on comfort, Vionic manufactured a durable upper and a roomy toe box that won’t crush your toes. The cushioned rubber outsole and the removable, dual-density EVA foam insole provide excellent shock absorption and bounceback. With .5” elevation, the shoe facilitates a more natural stride from the heel to the ball of the foot. The Vionic Women’s Walker Classic Shoes are ideal for both overpronators and supinators because they correct your gait by helping your feet and knees stay in alignment. There is a mild break-in period: those new to the shoe will need some time to get used to the fit. With an arch positioned lower than other athletic shoes, the Vionic Women’s Walker Classic Shoes correct the placement of the heel, encouraging a more natural stride that will relieve back pain. Due to their design to adjust your gait, some have complained that the shoe is too clunky and loose around the ankle. Some reviews complained that the waterproofing failed: the Vionic Walker Classic Shoes are only water-resistant, so they won’t last in extremely wet environments. The Brooks Women’s Ghost 11 is a lightweight shoe for runners or those on their feet for extended periods of time. The comfortable mesh upper molds to your foot, creating a snug fit. Designed for comfort for those who have medium to high arches, the Ghost 11’s DNA LOFT heel crash pad absorbs impact for a softer landing on the heel. The rubber outsole has a segmented crash pad for even more shock absorption throughout your entire foot, creating a steadier transition from the heel to the ball of the foot. 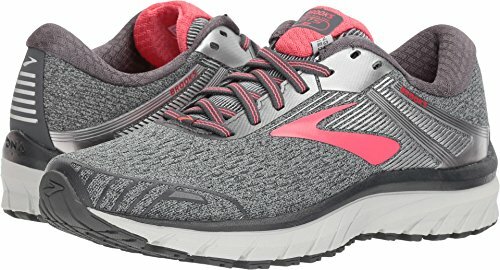 Brooks uses their BioMoGo DNA technology, which creates a women’s running shoe engineered especially for women: the insole is soft for comfort but durable enough for sufficient bounceback. The major complaint against the Brooks Ghost 11 is that it is designed only for runners. For those who want a comfortable tennis shoe for every day walking or errands, you should choose another shoe. The design, which includes a lift in the toes, can make them uncomfortable for activities other than running. The toe box is also very narrow, which can be a deal-breaker on purchasing this expensive athletic shoe. Easy Spirit is a women’s shoe company that is known for their casual and athletic footwear. The Easy Spirit Women’s Traveltime Mule is a budget-friendly, slip-on mule sandal that is designed specifically for the shape of a woman’s foot. The leather/fabric upper and rubber sole move with you, eliminating stress on your joints. With good arch support, the Easy Spirit Traveltime Mule has a removable, shock-absorbent insole designed to relieve pressure on your heel and the ball of your foot. The Easy Spirit Traveltime Mule runs small and narrow, so you will have to order a size up from your regular size. The Traveltime Mule also has a narrow toe box, so it is better for women with smaller feet. There is a short break-in period, during which they can be noisy as you walk. Once you break them in, you’ll be surprised at how comfortable they are. The Easy Spirit Traveltime Mule will become your favorite lounging and errand shoe. The Clarks Women’s Arla Glison Flip Flop is so comfortable that you can wear it almost anywhere. With a soft, textile strap and a cushy and flexible rubber sole, the Clarks Arla Glison provides more foot support than your average sandal. It has a 1.5” heel for more shock absorption on impact, and a ¼” platform with Cushionsoft technology that makes them comfortable enough to wear all day. The lightweight, microfiber EVA sole and an Ortholite footbed give added arch support on the ball of your foot as well as your heel. All this added comfort in the sole can make the Clarks Arla Glison heavier than most flip-flops, but several customers have reported that the soles are like walking on air. They do run narrow, so you may have to go a size up from the sandal size you usually wear. For those with extremely sensitive arches, the incline may be too hard on the ball of your foot. Although they are comfortable flip-flops, the Clarks Arla Glison isn’t ideal for a day at the beach; they can be challenging to get back on if they get wet. Some customers have complained that the sole wears down between six months to a year after purchase, but they are so budget-friendly that you can buy another pair. When you have back pain, a comfortable pair of shoes can make a huge difference in your quality of life. Having enough stability and support can relieve the pressure off of your feet and joints, eliminating your back pain. 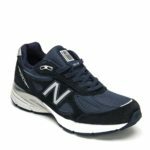 Our selections for the best shoes for back pain are the New Balance Men’s MW877 Walking Shoe and the Brooks Women’s Adrenaline GTS 18. Both have superior support and comfort, while their drawbacks are relatively minor. If you are not looking for an athletic shoe, any of the sandals on this list can give you the support and stability that you need to relieve your back pain.